The following images and photos show some general topographic characteristics of the Rubielos de la Cérida elongated impact basin. Fig. 1. 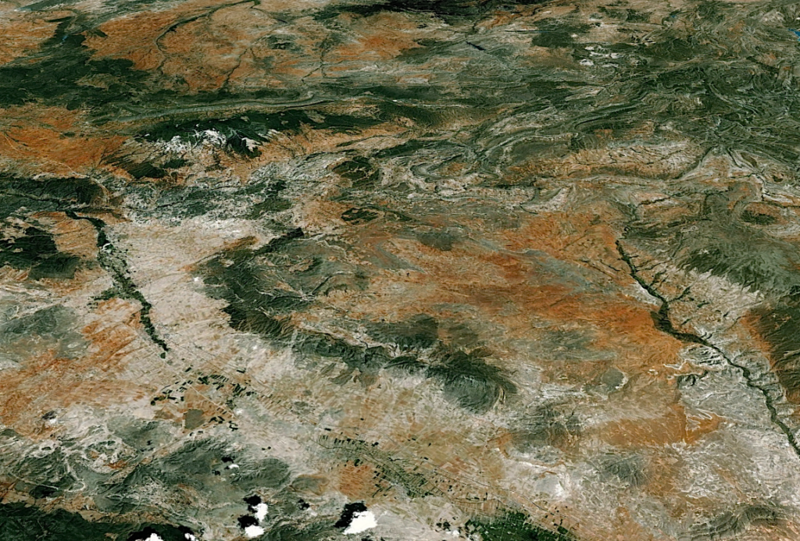 The Rubielos de la Cérida impact basin on the digital map of Spain 1 : 200,000. By courtesy of Manuel Cabedo. Fig. 2. 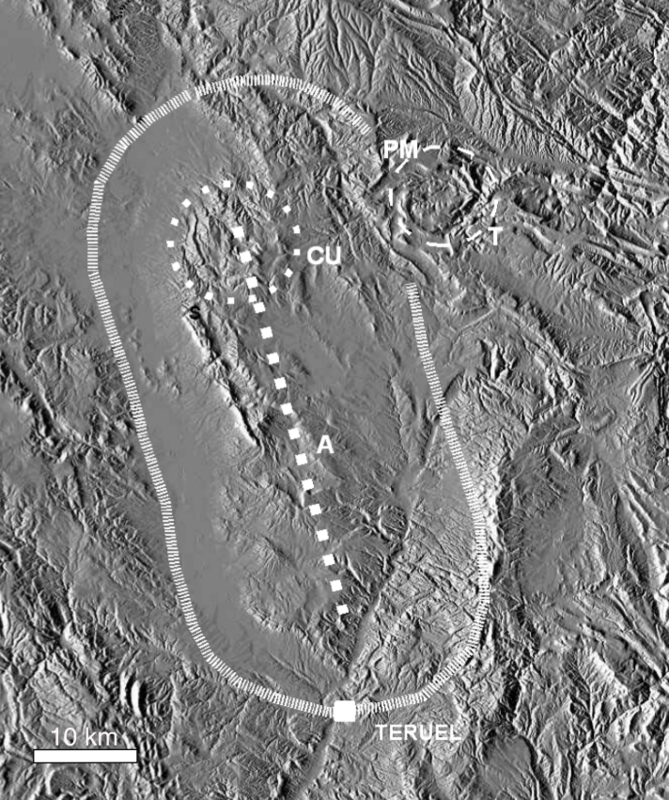 Rough outline of the elongated impact basin with the Rubielos de la Cérida central uplift (CU). “A” indicates the axis of the central uplift chain in continuation of CU. PM stands for the Puerto Míngez pass exposing extensive impact ejecta described in a separate chapter (Impact ejecta). T denotes the Torrecilla ring possibly a companion impact of the large multiple Azuara impact event. Teruel is the capital of the same-named province. The eastern part of the impact basin is in part masked by younger post-impact Tertiary sediments. Fig. 3. 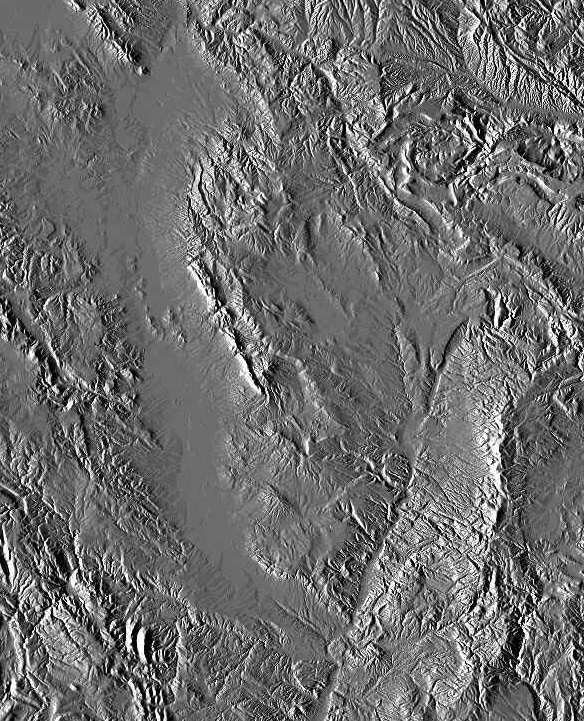 Oblique view of the northern end of the central uplift chain emerging from the Quaternary of the elongated impact basin (light colors). Google Earth. Fig. 4. 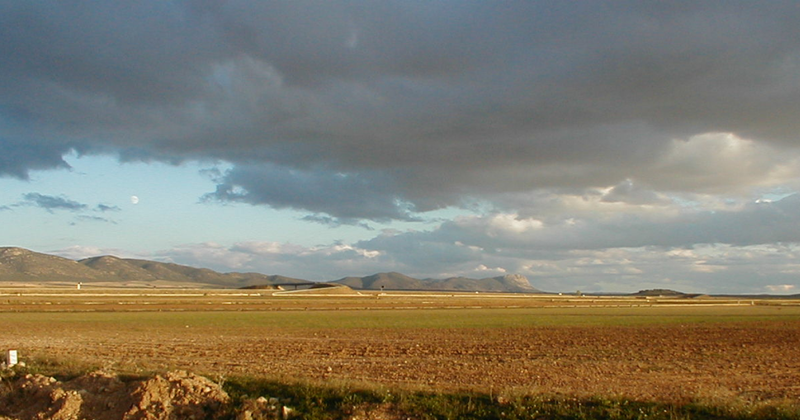 In the distance the western rim of the impact basin seen from the central uplift chain near Torrelacárcel. Fig. 5. Southern rim of the impact basin (in the background) seen from the southern end of the central uplift chain (in the foreground) near Concud. Fig. 5. 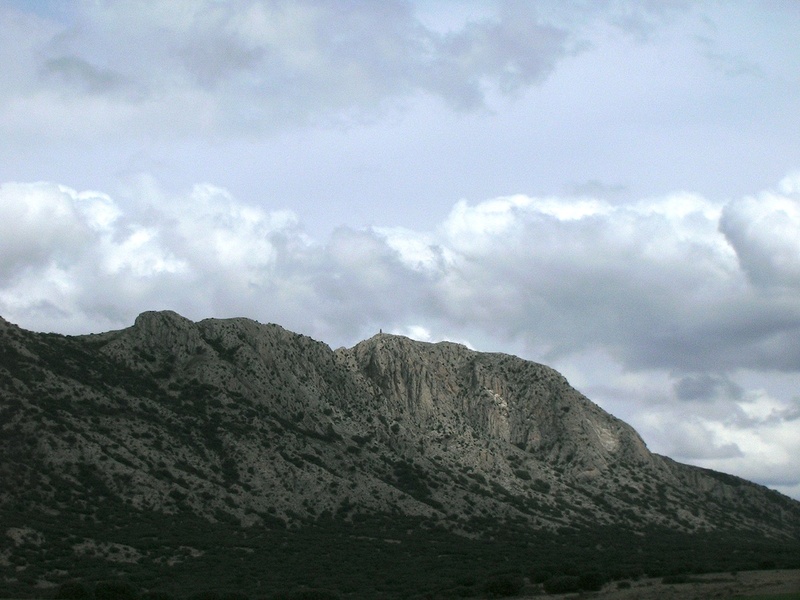 Part of the central uplift chain emerging from the Quaternary of the impact basin (continuation of the Rubielos de la Cérida central uplift to the south; see Fig. 2). Fig. 6. Closer view of the central uplift chain (Sierra Palomera) exhibiting steeply dipping layers of Jurassic carbonate rocks.